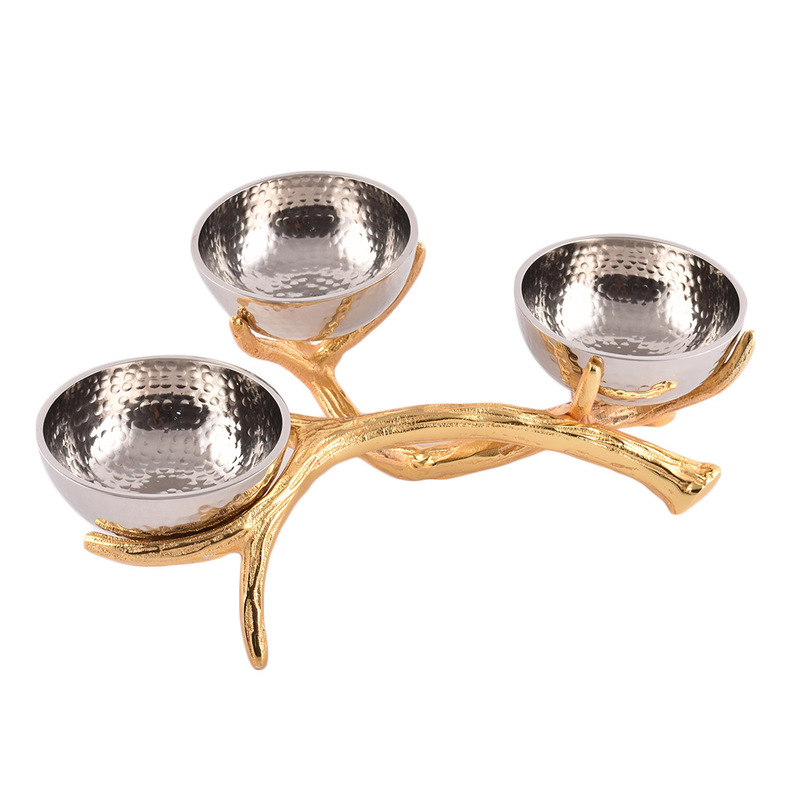 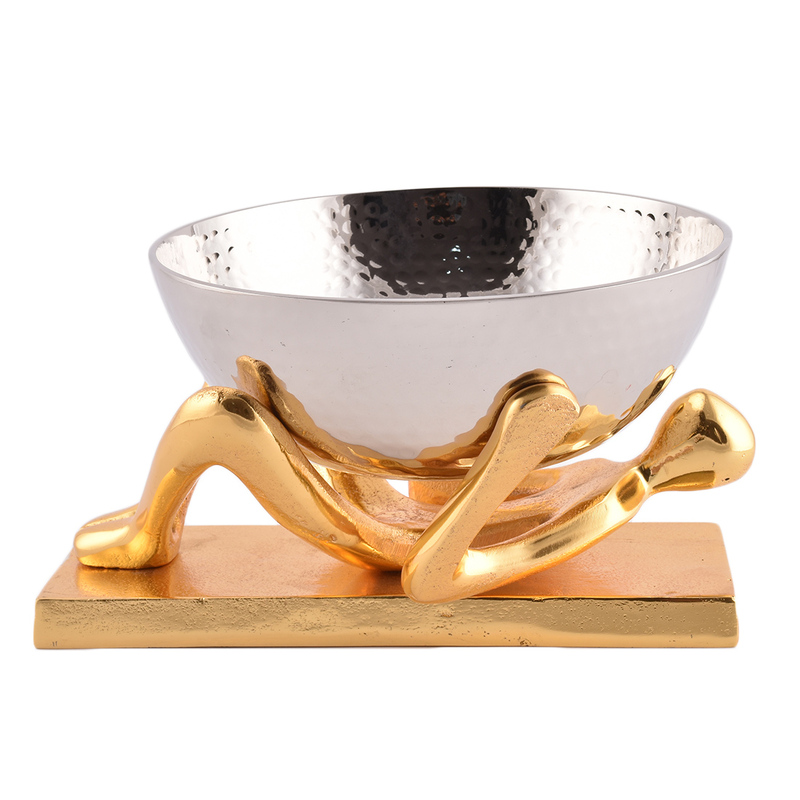 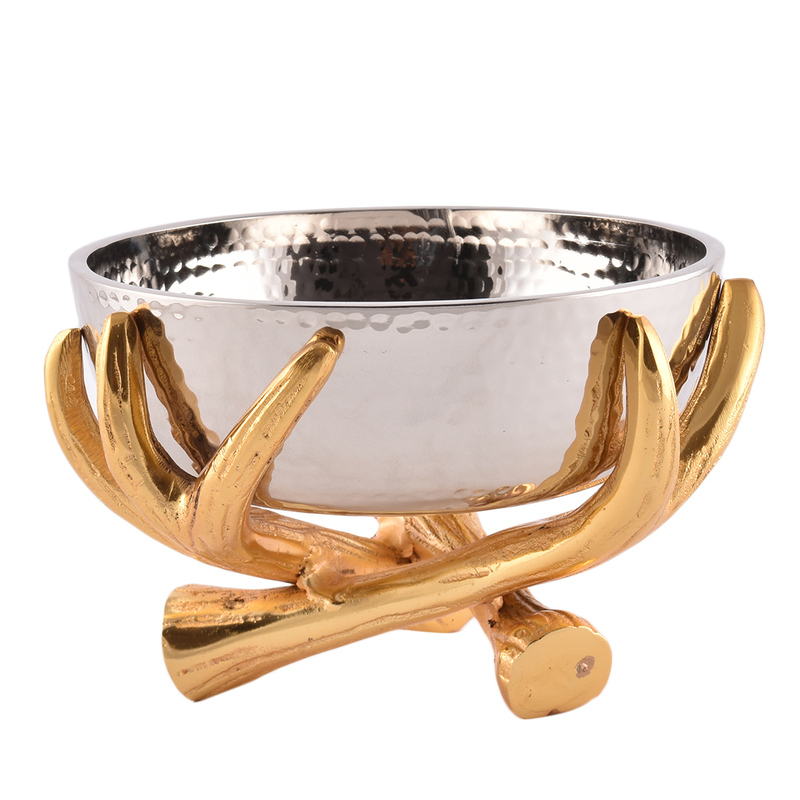 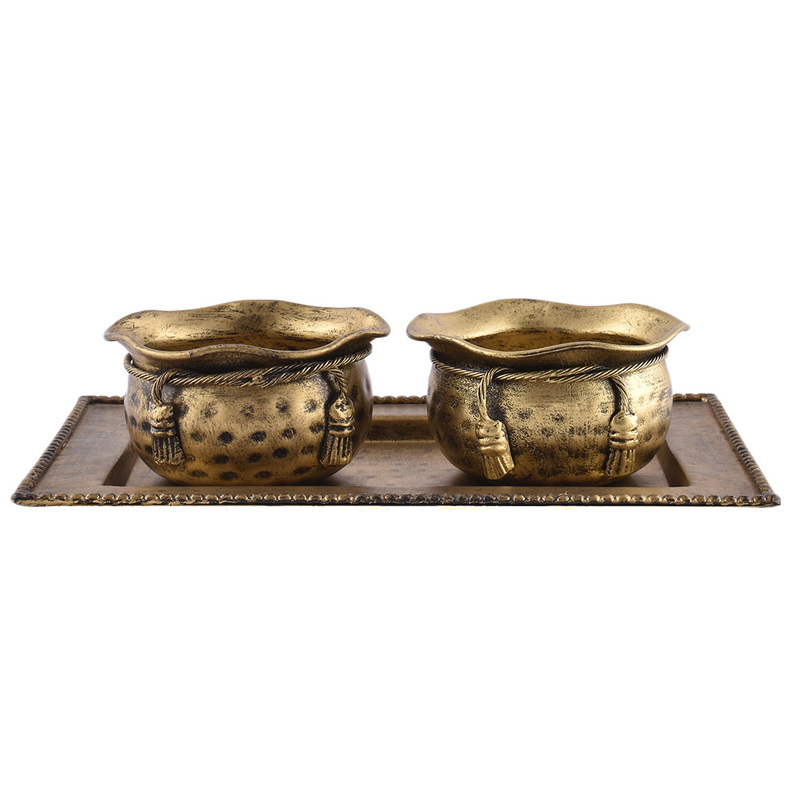 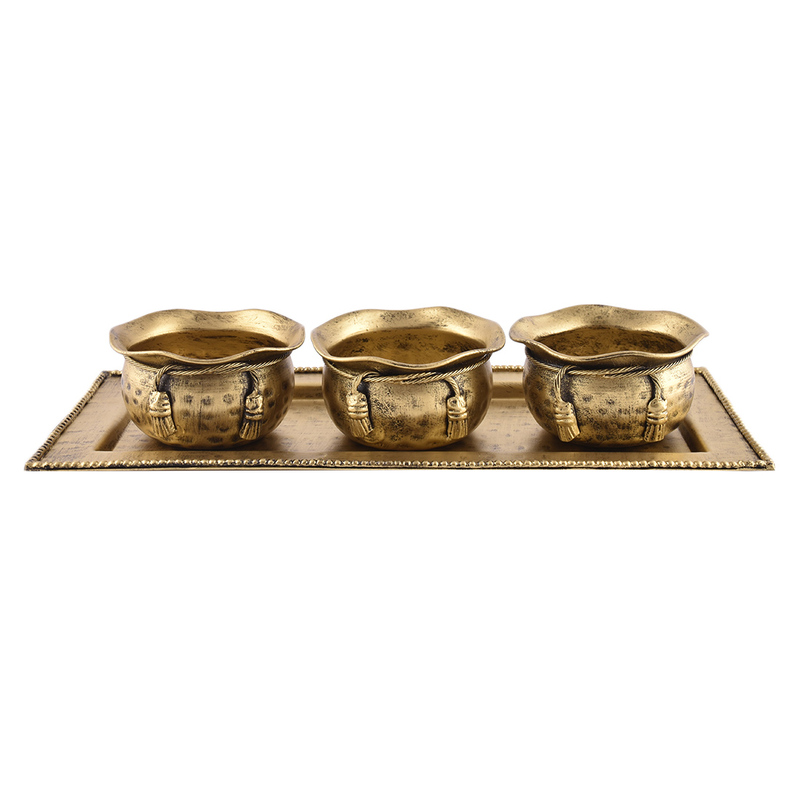 SERVE IN STYLE WITH THIS BEAUTIFUL METAL PLATTER WITH METAL BOWL FOR DIPS. 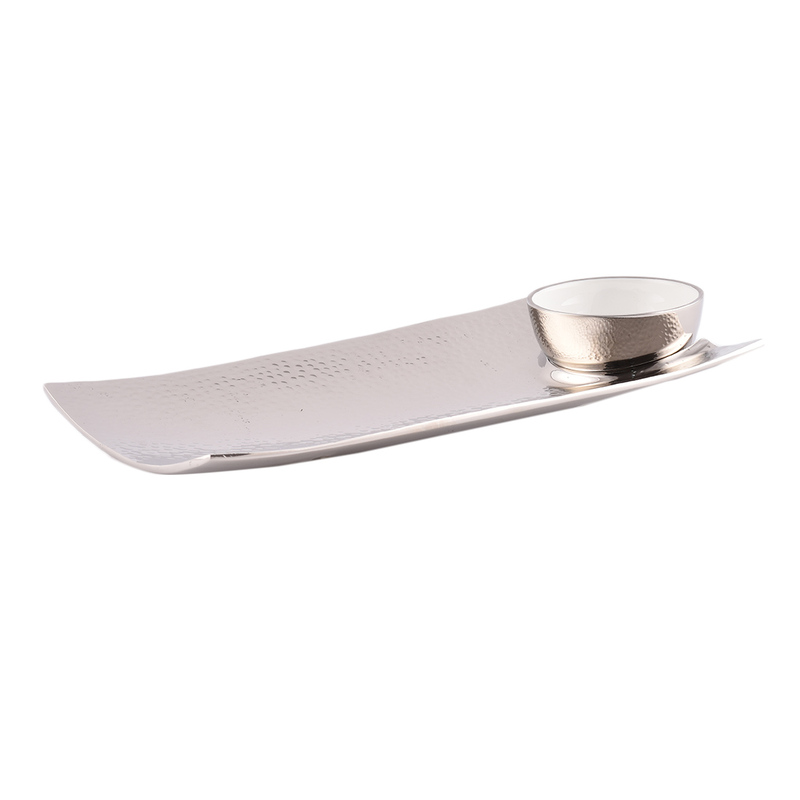 An ideal gift for your loved ones, the serving plate comes in beautiful design and is provided with a metal bowl for dip. 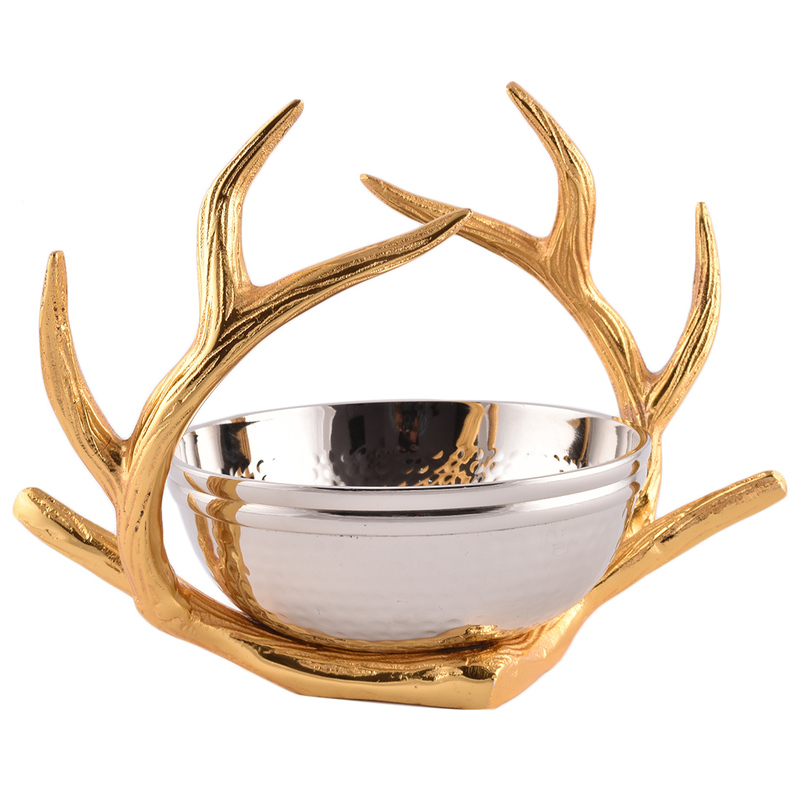 This can also be used to serve snacks. 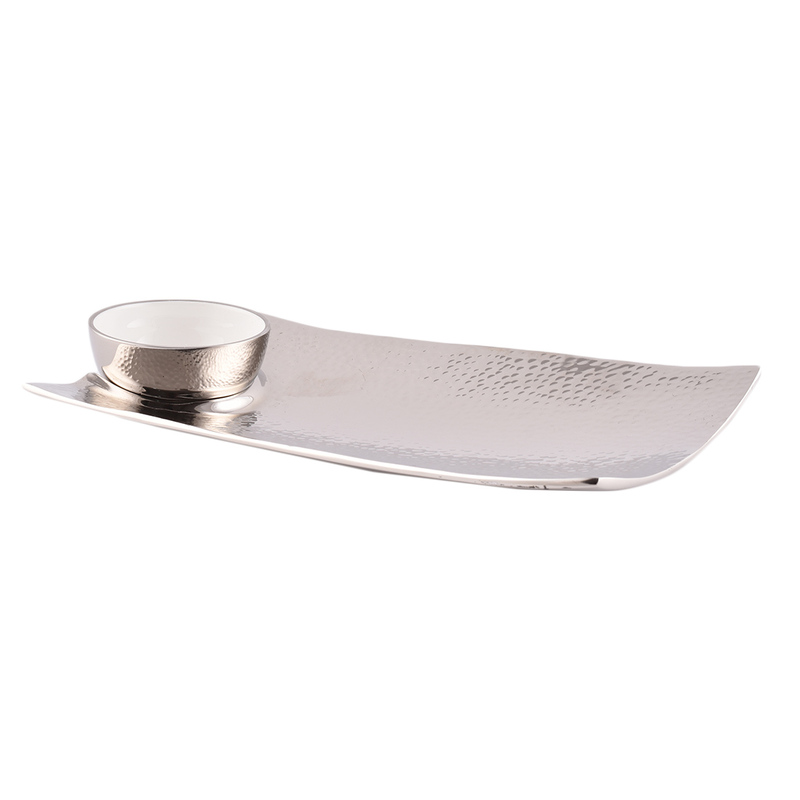 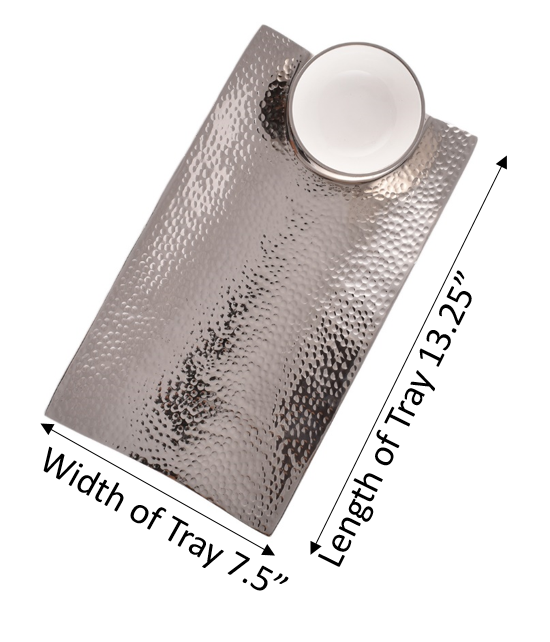 This serving platter imparts an elegant look to your dining/ drawing table. 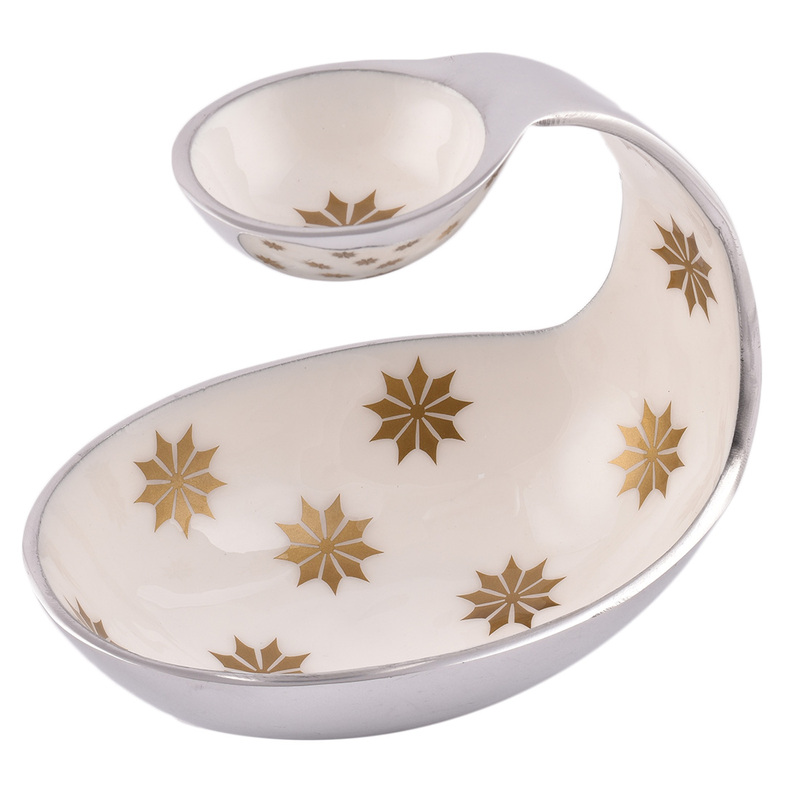 DIAMETER OF DIP BOWL - 4"
DEPTH OF SERVING DIP BOWL - 2.5"
LENGTH OF TRAY - 13.25"
WIDTH OF TRAY - 7.5"